Wood Fired Pizzas, Homemade Burgers, Great Steaks, Pastas, and the finest craft-made beers made in West Georgia. 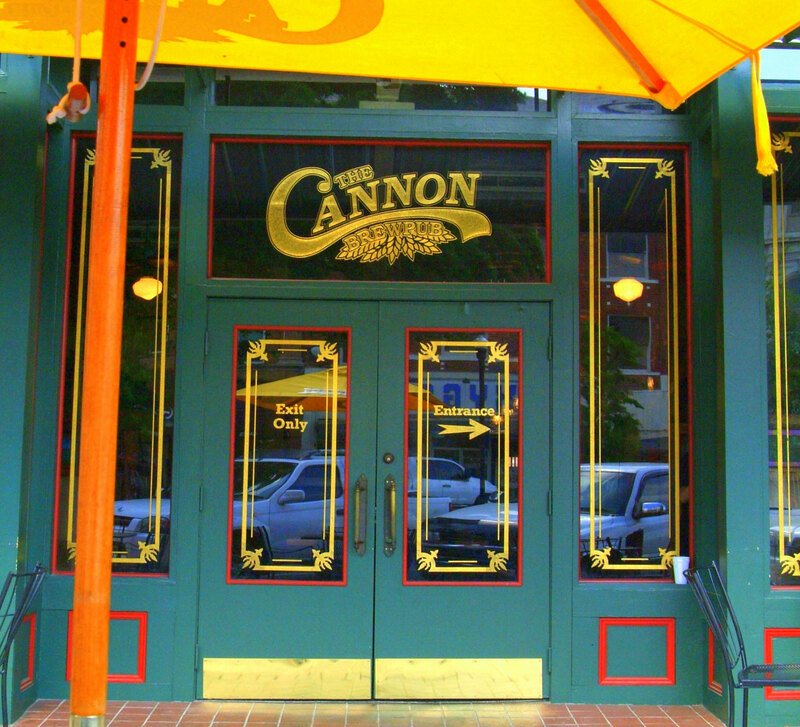 The Cannon Brewpub is a unique experience, where old-world charm is complemented by award-winning handcrafted beer and the best traditional American cuisine. Whether you choose one of our signature entrees or a sandwich, a meal at The Cannon assures thoughtful plate presentations, great value and fresh flavorful ingredients; made from scratch. We hope your experience is fun, relaxing, and most of all, unforgettable! 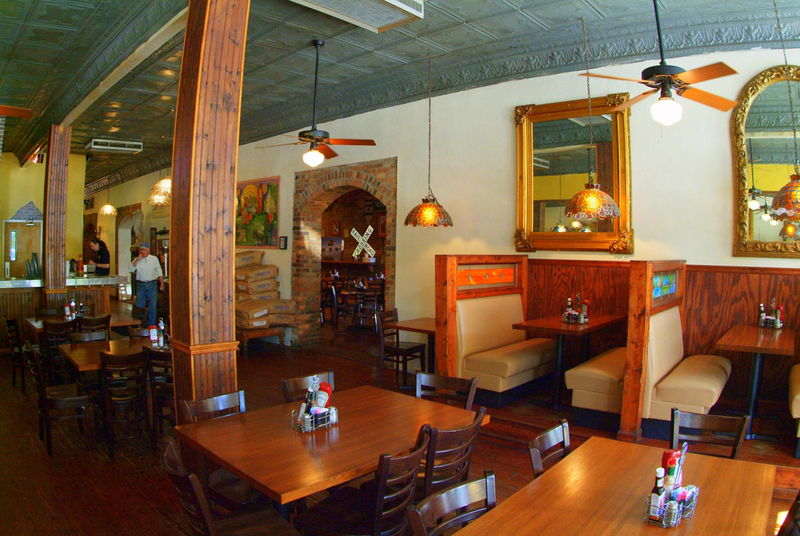 The brewpub consist of two main areas - a barside dining area and pizza side dining area. 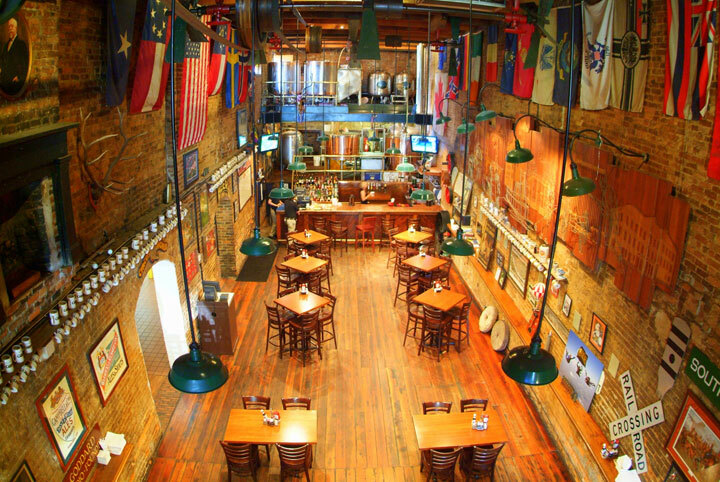 The brewery located in the barside area is the central feature of the Brewpub. Dominating the rear of the building, it reaches from below floor level to the ceiling, 20 feet tall. The copper-topped bar, directly in front of it, provides a place where patrons can watch their favorite beer being brewed. For a change in the atmosphere the Cannon offers a dining room with a quieter, more family-oriented feel. Featuring a wood-burning pizza oven, it helps to give our guests a place to call their own. Visit our website to learn interesting facts about our menu, seasonal brews and architectural features.